Thai Beef Salad . . . 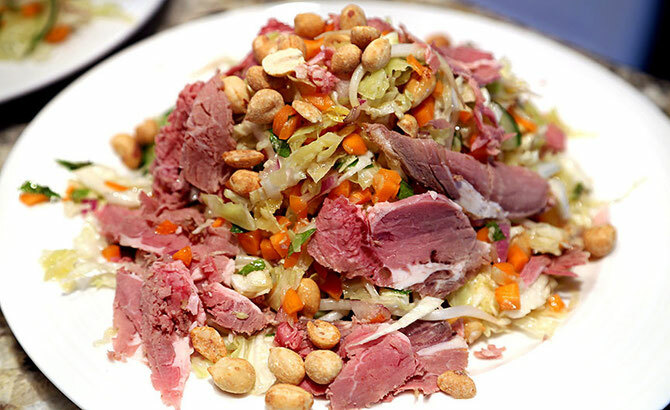 This salad is a staple with left-over prime rib in our house. It is refreshing, delicious, very healthy, and with a fresh roll and glass of Beaujolais, borders on a perfect meal. chilies as they are really hot! dissolved. Stir in ginger, chilli and salt. chilli fake (sparingly) and it is still a great salad.